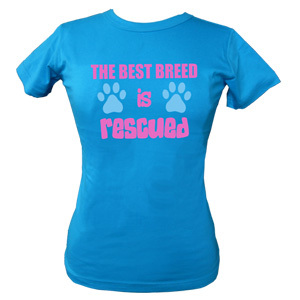 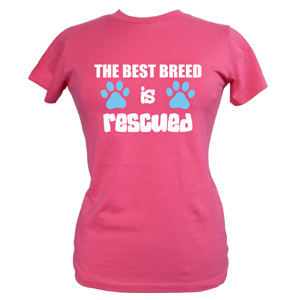 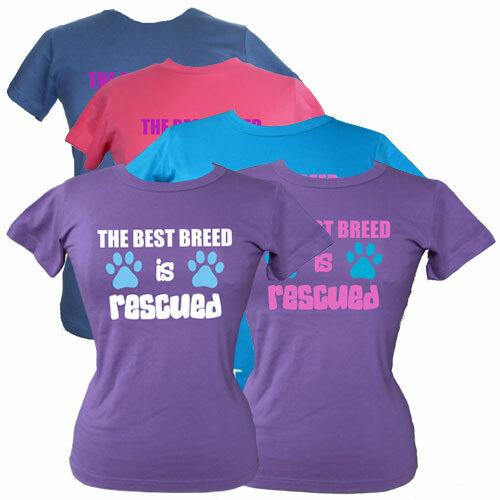 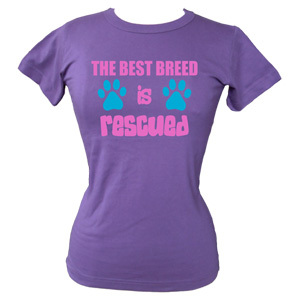 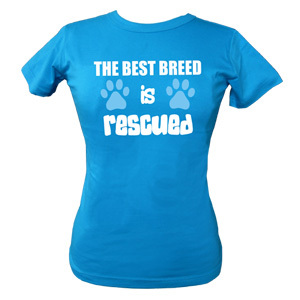 Celebrate your love of rescue dogs with this quality "The Best Breed is Rescued" slogan slim fit women's t-shirt. 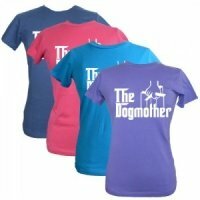 These fabulous dog slogan t-shirts are perfect for walking the dog, taking part in dog related events and activities or as a gift for a dog lover. 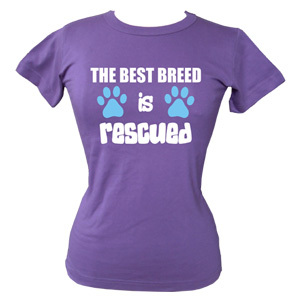 If your best friend is rescued, this is the t-shirt for you. 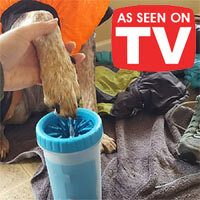 The print colour is pink text with sky blue paw prints. 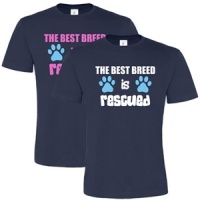 I was looking for a slightly 'different' gift. 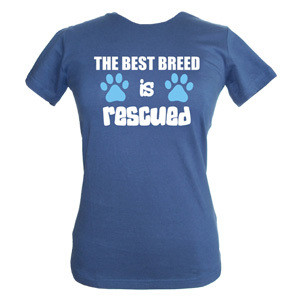 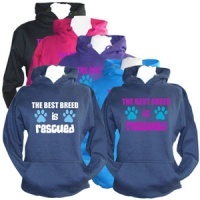 I was impressed with the designs and a TShirt for 'rescued ' breed was perfect. 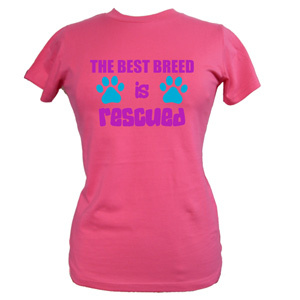 The recipient was delighted.